It's almost Valentine's and what more of a perfect gift could WhatsApp give its users than dozens upon dozens of brand new emojis they can use to express all of their emotions and deep feelings? 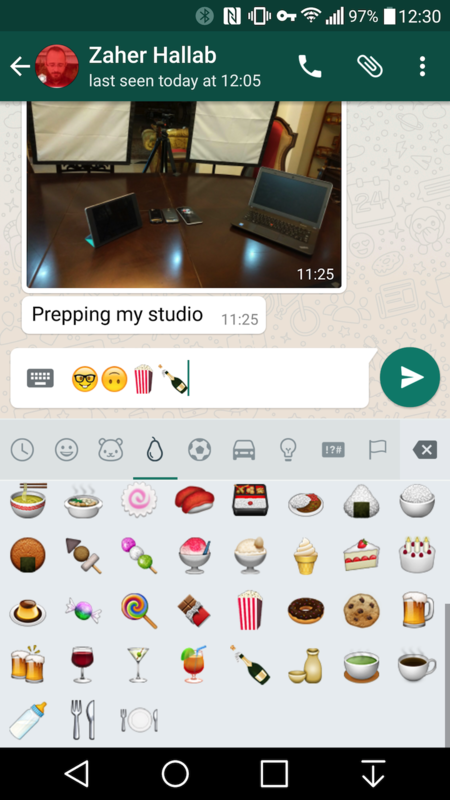 Those cool drawings had been donning the WhatsApp beta for over two months but they're now ready to deck the emoji panel of every WhatsApp user through an update to the stable Play Store release of the app. Version 2.12.441 is starting to roll out to everyone with a reorganized emoji panel and plenty of cool new drawings like the upside down face, the nerd and robot faces, the champagne bottle, the popcorn box, and more. There's a middle finger emoji too, as well as an urn, a turkey, plenty of religious places and more. Our personal recommendation for Valentine's is to punctuate each of your love confessions with the new "heart exclamation mark" emoji that you'll find in the symbols tab. For all the details about these emojis and their new tabbed layout, check our previous article. And remember, the update seems to be slowly rolling out to everyone — as a matter of fact only a few users have gotten it so far — so you'll likely see it in a day or two. WhatsApp's Play Store changelog hasn't been updated either (the Google Drive storage update went live a few days ago) so we don't know if there are any other changes lurking in the dark in this new version. If you're impatient, I'm sure you already know you can always count on APK Mirror to grab the latest WhatsApp installation files. The app received another minor update in the Play Store today to version 2.12.453 (which you can also find on APK Mirror) and the changelog has been updated to mention the previously added Google Drive support (which went live sometime in January), as well as the new emojis, a few new languages, and Android M runtime permission support. wait did I say emoji already?